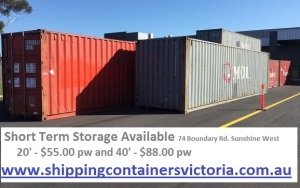 20ft Shipping Container – from $19.50 p.w. 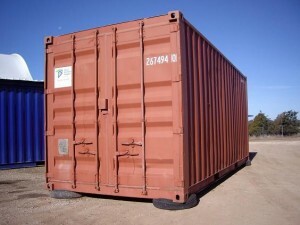 40ft Shipping Container – from $29.50 p.w. Load your Own – On Site or On Our Yard – also available. 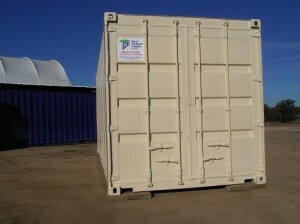 Keep the container up off the ground to allow air flow under the container. 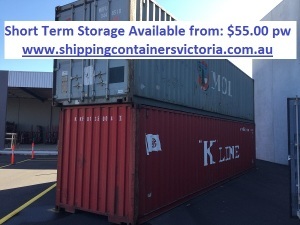 We suggest placing container on either treated pine sleepers, old car tyres or solid concrete blocks. 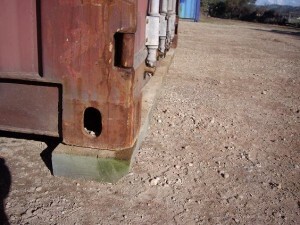 If placed directly on the ground, the base of the container will condensate and moisture will permeate through the timber floor and will cause moisture problems within. It will also cause rust on the steel cross members under the container.